Add 750ml Yoosh Aloe Vera Drink to a glass pitcher. Add more if desired. Then add 500ml of lemon & lime soda, or more to taste. Slice 4 limes into halves, and squeeze lime juice into pitcher. Thinly slice the remaining lime and add to the pitcher as well. 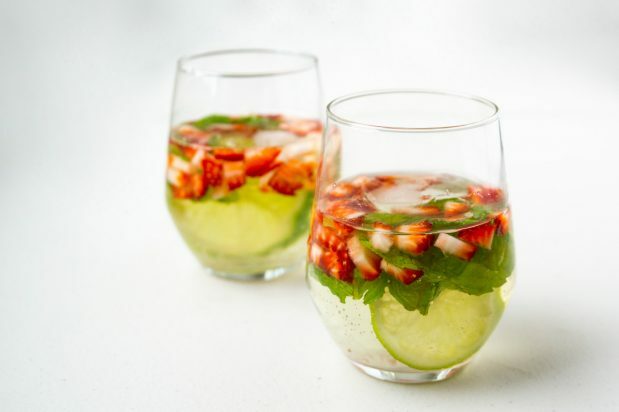 Add lightly muddled or finely chopped up mint leaves and strawberries to the pitcher. Finally, add the ice cubes to the pitcher, give it a good stir to combine all the ingredients, and serve.